Prices of property in Dubai were largely unchanged over the fourth quarter of 2016 with the market likely to be driven by owner occupiers and long term investors, according to the latest analysis report. 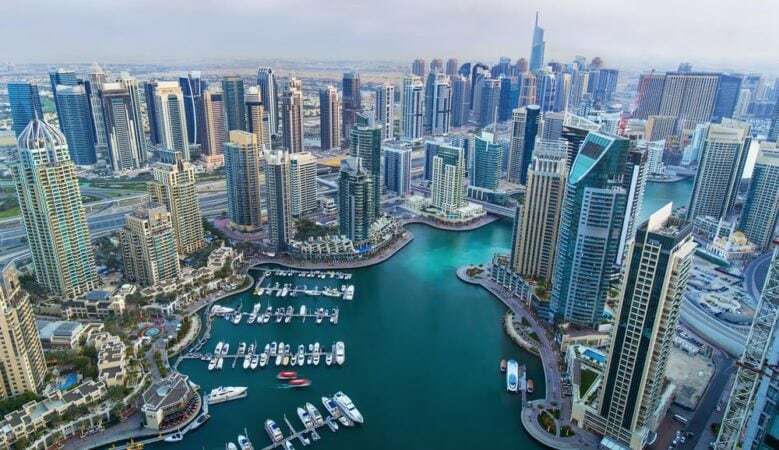 Meanwhile, an increase in supply is likely to put downward pressure on rents in the emirate with rentals for both apartments and villas down by 6% and 5% last year, the data from the report from real estate consultancy Asteco shows. While prices are bottoming, the continued fall in rents means that tenants in Dubai could have the upper hand when negotiating rental rates thanks to the significant amount of stock coming to the market in 2017. According to the report there are 31,500 apartments and 12,500 villas and townhouses scheduled to be delivered this year while 8,750 apartments and 5,000 villas were completed in 2016. ‘Tenants will be offered a significant choice of completed properties in 2017 in both established and new communities. The additional supply will continue to put downward pressure on market rates, which will place the negotiating power firmly in the hands of tenants, despite a forecasted increase in population,’ said John Stevens, Asteco managing director. ‘However, the gap between planned delivery and actual handover can be worlds apart, which could limit the impact of oversupply and generate modest levels of growth in certain popular communities,’ he added. The figure also support the fact that the balance has been tipped away from landlords and it is the tenants who have the advantage when it comes to negotiating lease terms but it adds that although average apartment rental rates declined by 5% since the previous quarter and 6% over the year, the individual numbers indicate that the market is becoming increasingly fragmented. Whilst rental rates in certain areas declined, others were more resilient to change and even experienced marginal growth. It is also important to note that buildings within specific communities are showing disparities in terms of the overall offerings and hence rates. ‘Landlords, especially corporates, offered incentives such as increasing the number of cheques accepted and longer rent free periods to entice take-up, especially in newly handed over communities that still lack supporting infrastructure, retail and leisure facilities. Single unit owners, especially those with mortgages, were more inclined to reduce rental rates to increase take-up, rather than undergo prolonged periods without any rental income,’ Stevens explained. He explained that as overall, average sales prices remained relatively unchanged in the fourth quarter of the year this is a strong signal that the residential sales market is bottoming out. Overall prices are down around 2% year on year. ‘Market sentiment is expected to improve on the back of increased Government spending on infrastructure, hospitality and retail projects, which will have a positive effect on demand for real estate in Dubai. The sales market will be increasingly driven by long term investors and owner occupiers and the rise in first time buyers will continue throughout 2017 as people take a long term view to living in Dubai,’ said Stevens.